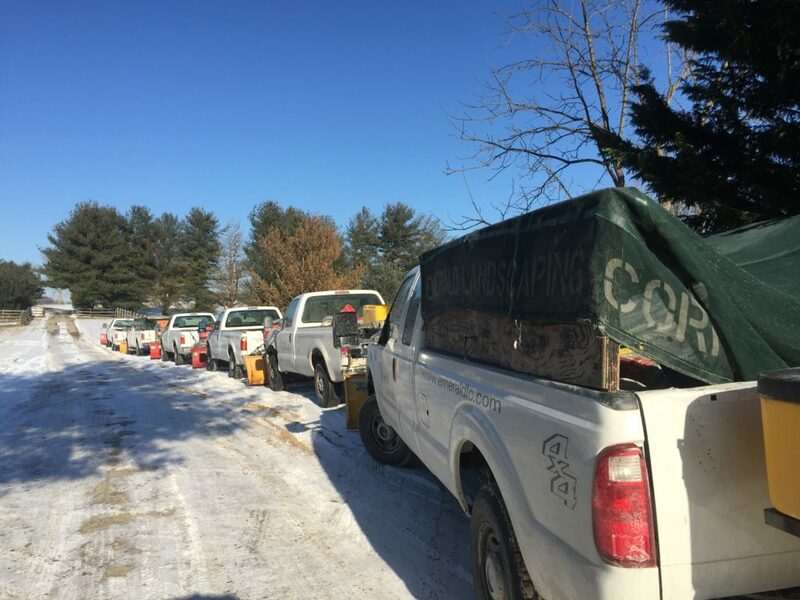 Emerald Landscaping Corporation is a full-service ice and snow removal company that serves both large and small commercial locations throughout Washington, DC, Maryland, and northern Virginia. Our manpower and fleet are large and experienced enough to tackle any road, parking lot, or walkway, and we work in all weather conditions. When a snowstorm or ice storm rolls through, you can count on us to keep your business or residential complex safe and accessible, every time. If your snow and ice removal company is not reliable, your business may suffer. We pride ourselves on our reliability and our dedication to the work of snow and ice removal. When severe weather hits, preparation and mobilization are key to staying on top of the conditions. With over a decade of experience, we know how to prepare and mobilize our crews and fleets to ensure that every customer and location on our list is taken care of as quickly as possible. We have a variety of machines and de-icing materials at our disposal, and we have the expertise to make sure that snow and ice do not disrupt your business.